Austin Realtors - Weichert, Realtors® - Barton Harris & Co.
All sorts of homes throughout the city of Austin continue to find themselves suddenly off the market these days, and it’s also causing people to wonder how they can get their hands on their own piece of local real estate. If you are looking for Austin realtors then Barton Harris can help! One useful option to consider is flipping a house. Not only does this option allow for all types of creative challenges, but in the long run, you could find yourself earning a rather large profit as well. Before you decide to simply dive into something like this, however, it’s extremely important to be aware of all of the basics regarding house flipping. The first thing that should be considered with house flipping is the actual real estate market of the location in which you’re looking to do this. In Austin, for example, house flipping could prove to be rather challenging. Last year, a study showed that Austin was actually one of the worst cities when it comes to house flipping, as many homes in the area ended up producing profits that were below the national average. This means that before you begin the process itself, you should definitely take the time to study up on how the real estate market is in your target location. As you’re likely already aware of, there is a huge influx of television programs which depict that flipping houses is a task that is easy. Despite the popularity of these types of programs, they typically tend not to show everything that goes into the task itself. Simply put, it can take a great deal of time to renovate a home that you purchase. Additionally, these same television shows don’t always show all of the payouts and financial details that come with flipping houses, nor do they explain that you can’t actually get rich quickly from this type of task. The biggest key to flipping homes is being able locate sellers who are motivated and willing to sacrifice a bit of equity in order to make a fast sale. In order to make money on the property itself, the purchase price should generally be approximately 70% of what the house will eventually sell for when all renovations are complete. Typically, you will want to look for properties to flip that only require a few cosmetic renovations rather than one that needs a ton of work done to it. In terms of the best homes for flipping, these will generally be ones that are vacant. This is because the longer a home stays empty, the more the owner will be wanting to sell it. 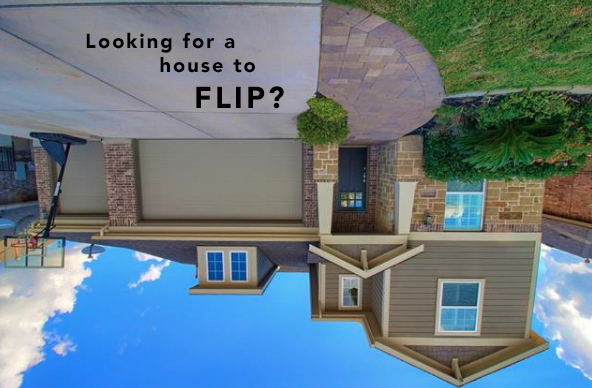 Austin realtors can help you find a good property to flip. When it comes to the house flipping budget, you should think about partnering with an investor only if you don’t have the cash for the entire thing. Thank you for visiting the Barton Harris blog, an Austin real estate company. If you are looking to move to Austin contact one of our realtors today!